There is a problem with this logic. But before addressing the solution, the problem is usually compounded by the Christian’s response. The response takes on this form, “Well, you just have to have faith and believe. Sometimes our faith is irrational.” This response actually accepts the skeptics reasoning and buys into his faulty presupposition. This response, just like the skeptic, fails to consider how truth can be verified. In this discussion, the skeptic and the Christian seemingly accept and assert truth is only verified by scientific research. However, there are other ways to verify truth. One other way to verify truth is multiple eye-witness testimony. Skeptics will often counter with the superiority of scientific research. However, to date, what proof exists verifying scientific research is the only way to obtain facts? 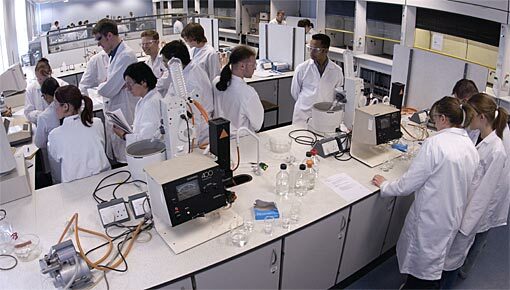 Second, scientists do change their views and findings as more research becomes available. But primarily, no science lab in the world can prove, according to the scientific method, whether or not pizza is in my kitchen. It is this third point Christians need to understand primarily. Multiple eye-witness testimony is a sufficient way to determine truth, especially historical fact. It is extremely important to grasp this concept. Before there were crime labs in the world, men would be punished for murder when multiple eye-witnesseses testified. The more witnesses who said the same thing, the stronger the evidence. 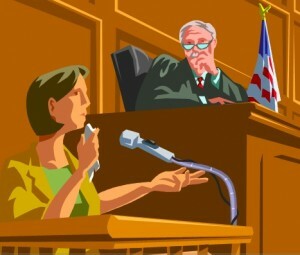 Even today, in courts, multiple eye-witnesses influence trials. The DA’s office would love for every case to have three or four eye-witnesses. 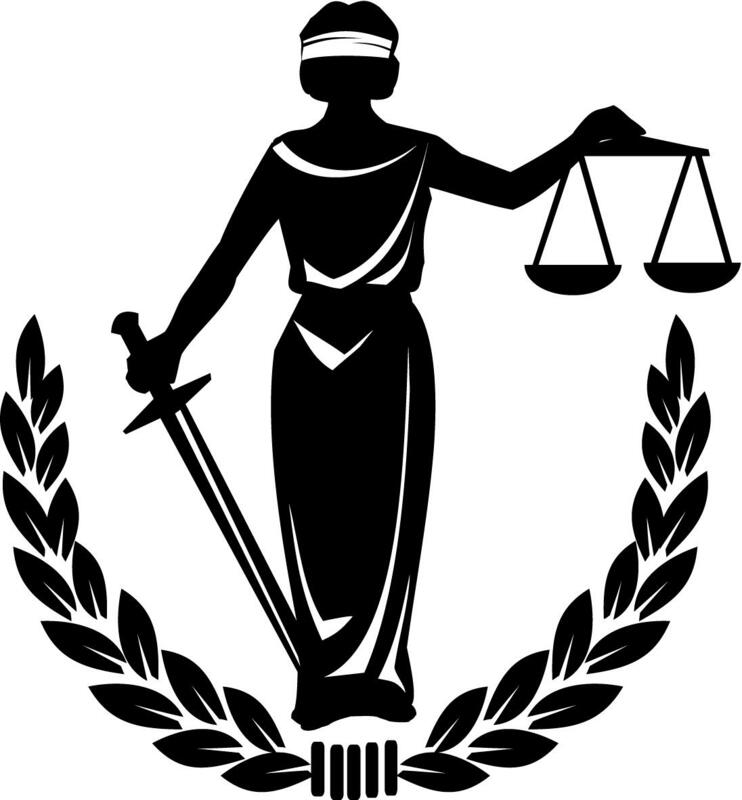 Justice can be upheld based on eye-witness testimony alone! Listen to God’s instruction to Israel when considering evidence. “On the evidence of two witnesses or three witnesses, he who is to die shall be put to death; he shall not be put to death on the evidence of one witness” (Deut 17:6). “A single witness shall not rise up against a man on account of any iniquity or any sin which he has committed; on the evidence of two or three witnesses a matter shall be confirmed” (Deut 19:15). “Do not receive an accusation against an elder except on the basis of two or three witnesses” (1 Tim 5:19). To summarize, multiples witnesses is not only a means to determine evidence, guilt, and punishment, but also required when levying charges against a church elder. The Lord provides means for qualified, verifiable, and solid evidence in a court setting. Does the Lord negate science? No. Instead he provides support for eye-witness testimony. This brings up the main point of the article. Christians need to understand multiple eye-witnesses provide valid evidence verifying historical events. So, how can we prove the resurrection? Simple, each Gospel is an eye-witness testimony to Christ’s death, burial, and resurrection. In fact, there are at least four accounts of the resurrection: Matthew’s, Mark’s, Luke’s, and John’s. We need to understand each Gospel testifies regarding Jesus, the Christ. Now, is your faith reasonable? Answer? Now, some will claim, “But eye-witness testimony has been wrong.” Sure it has, but so has science. The fact some people have lied when testifying does not negate the veracity and integrity multiple eye-witnesses can have when observing an event. In other words, YES, sometimes there is another variable in the equation, but one person lying in a situation does not invalidate eye-witness testimony. Good observation. We may prefer science and I understand why. In this culture we are almost ingrained to think science always wins and is correct. However, preference does not remove or undermine the veracity regarding multiple eye-witness testimony. Both are ways to determine truth. Yet, the inability for one to support the other does not undermine either method. Again, prove there is pizza in my kitchen. You need eye-witness testimony. To really prove it, you need multiple witnesses. Apply this logic to the resurrection. Science may not be able to resurrect a man from the grave. (Mainly because people do not have the power of God). But we can be 100% sure Jesus was resurrected. He appeared to over 500 people at one time. Only complete subjection to Enlightenment philosophy would allow someone to invalidate the evidence’s integrity because it does not fit the scientific scheme. PS. There is a difference between quantity and quality of evidence. Quality evidence carries as much weight as quantity. It is not a question of preferring one type of evidence to another. It is a question of how we use evidence to reach conclusions about what happened in the past. Evidence is an effect from which we infer a cause. If we come across a body with a knife sticking out of its back and that knife has swirly patterns on its handle that match the swirly patterns on a particular person’s fingers, we have evidence of who probably inserted the knife in the back. The reason this is evidence is because we understand the natural processes which cause those swirly patterns to appear on objects other than fingers and we understand those processes to act consistently if not invariably. If we thought that those patterns appeared randomly or by divine fiat, they wouldn’t be evidence of anything. We could not use them to say that the murderer was Colonel Mustard in the library with the knife. Testimony is also evidence. When someone describes a particular event, we may infer that the cause of the testimony is the event taking place as described. However, experience tells us that the process of cause and effect from an event to the story told about the event is much more variable than the process that leads to fingerprints appearing on objects. We know that the process can be affected by misinterpretation, misperception, ignorance, wishful thinking, exaggeration, superstition, prevarication, and gullibility. So we prefer science to testimony because we know that the processes of cause and effect are much more consistent with science. The tricky thing about trying to establish the occurrence of a miracle is that they do not follow the normal processes of cause and effect that we use to draw inferences from evidence. Indeed, many would say that what makes a miracle a miracle is that it is contrary to normal operation of those processes. We don’t know what effects require a miracle as a cause and we don’t know what effects miracles can be expected to cause. Now we might reasonably expect that a fantastic story might be the effect of a miracle, but we know that fantastic stories are commonly the result of those human shortcomings that I mentioned earlier, and we have no criteria by which to distinguish a fantastic story that is the product of a genuine miracle and one that is the product of human foibles. When I was a young man in parochial school, the nuns would tell me stories about the appearances of the Virgin Mary. I was told that tens of thousands had witnessed the Miracle of the Sun at Fatima. However, the number of contemporaneous first-hand accounts is much smaller and those accounts don’t agree with some people reporting that they saw nothing. At the time the nuns told me the stories, many of the original eyewitnesses were still alive, but I doubt that any of my teachers ever talked to any of them. They were simply passing along stories which they believed to be true, and which I must deem to be very weak evidence of what really happened at Fatima just as I must deem Paul’s account of the appearance to the 500 to be very weak evidence of what actually happened. It seems that every other month or so I read an article about a man being released from prison after his innocence is proved by DNA evidence that was not available at the time of his trial. Often the convictions were obtained with eyewitness testimony, but when there is a conflict between what the eyewitness says he saw and what science says could have happened, the court goes with science. We prefer the verdict of science even when the witness’s claims can tested by cross examination. The problem is that different kinds of evidence are sufficient to back up different kinds of claims. Saying you saw a dog in your back yard…just your word is sufficient evidence by itself. Saying you saw a fire-breathing dragon in your back yard…your word is not sufficient evidence by itself. Well, I see what you’re saying, but not sure you read the article well? And I’m not sure I agree with your presupposition? Of course, I’m also open to being wrong. Let me ask you a few questions. One, forgive me if the article wasn’t clear, but in both cases you mention, is the evidence supported if there are multiple (2, 3, or 4) witnesses who see the dog or fire-breathing dragon in my back yard? Second, your assertion requires a presupposition, that something more normal to everyday experience would require less testimony to verify. One eye witness can lie about both claims: the dog and the dragon. This is where the multiple witnesses come in. Four people sharing the same testimony verify each other. Now, what if there are six witnesses, my neighbors on both sides of my house and the three houses lined up behind my house who can see into my back yard? I do not know the neighbors behind me nor do they know me. But if all six of us said the same thing regarding the fire-breathing dragon would you believe? It’s not a presupposition, and it’s not about what’s ‘more normal’. It’s about what we have evidence for. We have mountains of all kinds of different evidence for the existence and behavior of dogs. We can study them in person even. We do not have that mountain of evidence for dragons. I would believe that something happened, that they all or some of them saw something, and that it deserves further investigation. If no other kinds of evidence could be found, however, I would doubt the conclusion…they may have seen something, but the evidence doesn’t support that the thing they saw was a dragon.